Ummm … Would You Pay to Drop Pumpkins Off a Balcony? How much would you pay to toss rotten pumpkins from the balcony of a museum? What is the sound that a falling pumpkin makes when it hits the ground? Hundreds of people who paid $9 admission at a Long Island museum got to find out on Friday at an event aimed to lure visitors by allowing them to drop squash from a second-floor balcony. 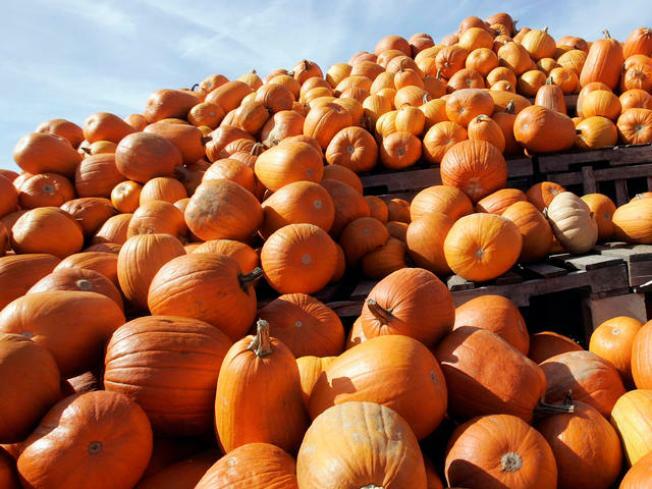 Several hundred rotting pumpkins -- and a few miscellaneous gourds -- were dropped over about 20 feet to ground at the Cradle of Aviation Museum in Garden City. The orange orbs splattered, split and coughed up their innards as they struck the ground. The crowd cheered. The largest weighed several hundred pounds. Eleven-year-old Brian Scala said it was "really cool." He said, "I haven't smashed pumpkins before." The pumpkins were donated by a local nursery and will be reused as compost.